The New Cast of ABC’s Dancing With The Stars! For the first time in “Dancing with the Stars” history, the new celebrity cast will be revealed at a LIVE press conference. “Dancing with the Stars” co-hosts Tom Bergeron and Brooke Burke will reveal the cast during an episode of “Bachelor Pad,” MONDAY, AUGUST 30 (8:00-10:00 p.m., ET), on ABC. Immediately following each cast member’s live primetime unveiling, ABC.com will post the updated list online. ABC.com will also post the press conference, in its entirety, the following day. 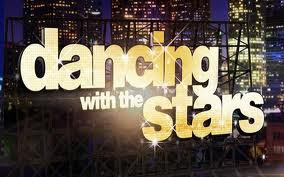 The Fall 2010 season of “Dancing with the Stars” premieres MONDAY, SEPT. 20 (8:00-10:00 p.m., ET). Hosted by Tom Bergeron (“America’s Funniest Home Videos”) and Brooke Burke (“Dancing with the Stars” Season Seven Champion), “Dancing with the Stars” is the hit series in which the celebrities perform choreographed dance routines which will be judged by renowned Ballroom judge Len Goodman and dancer/choreographers Bruno Tonioli and Carrie Ann Inaba. Also returning this season is “Macy’s Stars of Dance,” featuring some of the best choreographers and performers from different styles of dance and offering viewers performances that represent the peak of achievement in their genres, including fan favorite “Design-A-Dance,” in which viewers can vote and select the elements of the performance, from who is dancing to the style of ballroom to the music. “Dancing with the Stars” is the U.S. version of the international smash hit series, “Strictly Come Dancing.” This version is produced by BBC Worldwide Productions. Conrad Green serves as executive producer and Rob Wade is co-executive producer. Alex Rudzinski directs. The series is broadcast in 720 Progressive (720P), ABC’s selected HDTV format, with 5.1 channel surround sound. This series carries a TV-PG, L parental guideline.